If you have ever seen a game at Soldier Field, you understand just how special of a place it is. What is the history of this great American sports venue? 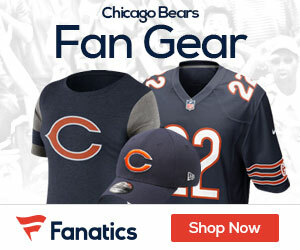 When did the Chicago Bears start playing their games there? Let’s find out. Soldier Field is a special place for many Bears fans. Anyone who has ever attended a game or an event at the field realizes just how special it is. But many fans don’t know its history or what the stadium is all about. That’s where Bearsgab comes in. 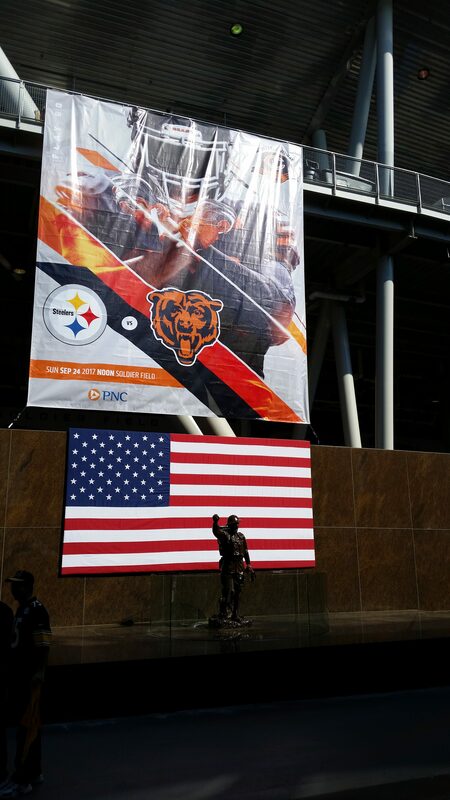 We are about to share with you an abbreviated look at Soldier Field’s history and what it means to the fans. The original design for Soldier was completed in 1919. The stadium was opened for use on October 9, 1924. It was then known as Municipal Grant Park Stadium. Just over a year later, its name was changed to Soldier Field (November 11th, 1925). 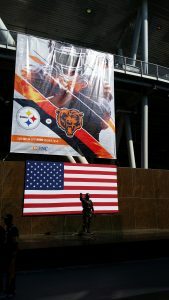 The stadium is supposed to be a memorial to U.S. troops who were killed in combat mostly during World War I. It cost just $13 million to build the stadium back then making it one of the most expensive stadiums in the country at that time. When it was originally constructed, the stadium was able to hold 74,280 people. It was built with the capability to add extra seating to hold up to 100,000 people. The stadium was used sparingly for football during its early years but in 1959, the then Chicago Cardinals played one season there, their last season in Chicago. The Chicago Bears moved their games to Soldier Field in 1971 and were only supposed to be there for three years. They had played their games at the Chicago Cubs’ stadium, Wrigley field for a long time but had to move due to rules set out in merging the NFL and the AFL. 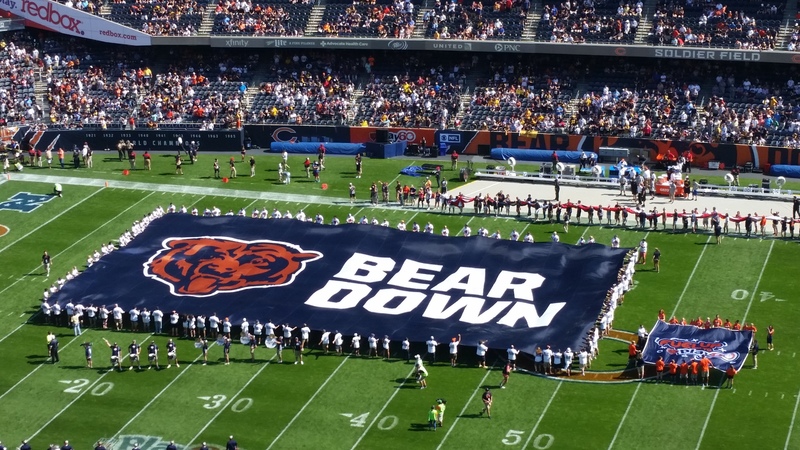 There was a rule requiring that the stadiums that the teams played in be able to hold at least 50,000 people and the Bears had to abide by that rule. The Bears had considered building a new stadium just outside of the city but the team decided to stay at Soldier Field. In 1990 the government of the State of Illinois rejected a plan to build a domed stadium for the team. 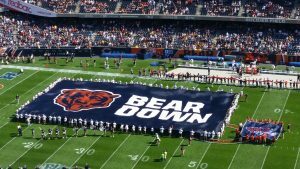 The Bears tried to look at having a stadium built in an area in Lake County but the plan was not approved by the local government. The Bears were stuck. Even then-Mayor Richard Daley thought that the Bears should share what was then known as Comiskey Park with the Chicago White Sox. That plan never materialized. The Chicago Park District came forward and told everyone about a plan to change Soldier Field and give it a new look. What they planned to do was to dismantle the interior of the stadium while keeping the outside intact. The plan was not well received because people did not want to see the historical landmark altered by a renovation. But something had to be done to update the facility and bring it into the modern era. The team needed it and so did the city. The new design was heavily criticized but it won a few awards for how it looked. The renovation took place over the course of a season while the Bears played their home games at the University of Illinois in Champaign. When it was all said and done, the stadium appeared very different from the outside and the inside. Some even remarked that it that it looked like a spaceship had landed on top of it (that’s what this writer thought when he first saw it). Because of the renovation, the National Park Service took away Soldier Field’s designation as a national landmark. Soldier Field is not only home to the Chicago Bears but it hosts several other events and has hosted several events throughout its long history. Early on, the stadium hosted its first football game in October of 1924 as the Austin Community Academy High School took on the Louisville Male High School. In 1926 the Army-Navy game was played there and it ended in a tie. Four NFC Championship games have been held there all four involving the Chicago Bears. College football games have been a popular thing to have been held at Soldier Field. The Northern Illinois University Huskies have played some games there. Notre Dame has also played football games there. The venue has also been home to some outdoor hockey games including professional and collegiate hockey. Soccer has been a big thing to take place at Soldier Field. FIFA and CONCACAF games have been played there. Some minor matches have happened there as well. There has been rugby held there and the Special Olympics have been held at the stadium. Soldier Field has played host to several concerts. Some of those concerts include Johnny Cash, Pink Floyd, Bruce Springsteen and the Rolling Stones. Those are just a few of the many singers that have played there. There have been many one-off events that have been held at Soldier Field. A boxing match between Gene Tunney and Jack Dempsey was held there in September of 1927. The famed missing pilot Amelia Earhart made an appearance there in 1932. Martin Luther King, Jr. was there and the first-ever commercial cell phone call was made from a car there. The stadium remains one of the great fixtures in the sports world to this day. There doesn’t appear to be any plans to move the Bears out of the stadium anytime soon. It appears as if everyone is content with what is happening between the park district and the Bears. Maybe, in the future, the Bears will seek a new stadium farther out of the middle of downtown Chicago. But for now, Soldier Field is their home. It will continue to remain the most nostalgic places in the NFL. It was changed in honor of WWI not WII. WII started more than a decade later. Also Halas did not want to move to Soldier field cause he did not like the facilities. I apologize for getting back to so late. I changed it to World War I, I knew that was the right war, but I wrote World War II by accident. For that I apologize. I did not know the other things about Halas or Wrigley. Thank you very much for pointing those out.